1) They sell vegetables on the street. At home they sell vegetables at the farmer’s market or at the supermarket. 2) Some doors are made out of metal like this. At home, doors are usually made out of wood or wood & glass, sometimes they are made out of smooth metal. 3) Around each house are very tall walls with pretty vines growing over them. At home many houses have rocks or grass in front and wooden fences. 4) Windows here have pretty iron grills over them. At home, people use blinds or curtains. 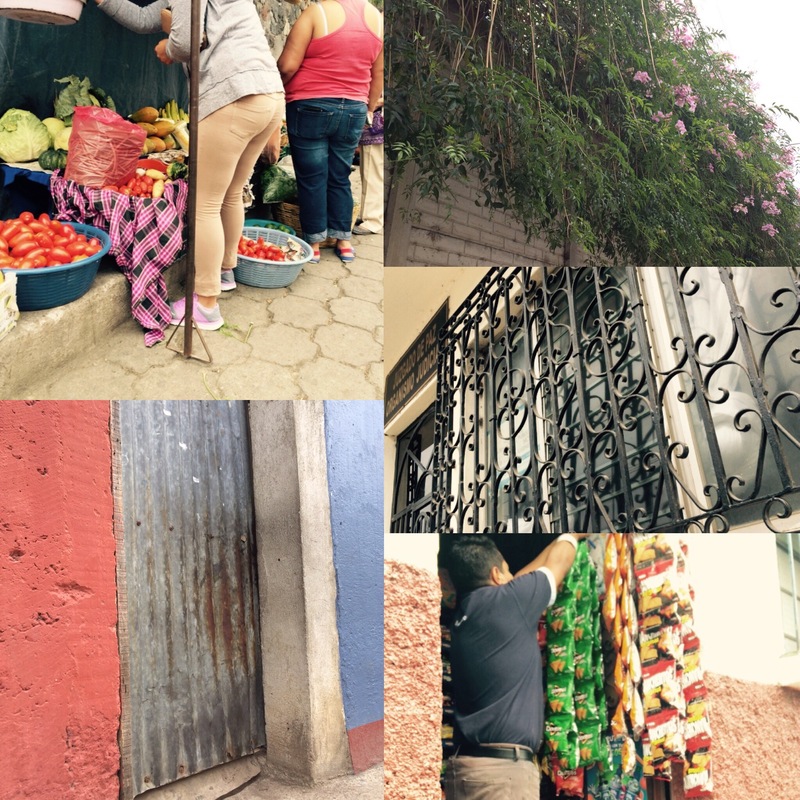 5) There are lots of small stores called “tiendas”, that sell chips, cheetos, candy, oreos, and sometimes fruit. At home the shops are much bigger and we have to drive to them. Random and directed thoughts from a five year old.